1. Peel and prep your ingredients where instructed. 2. 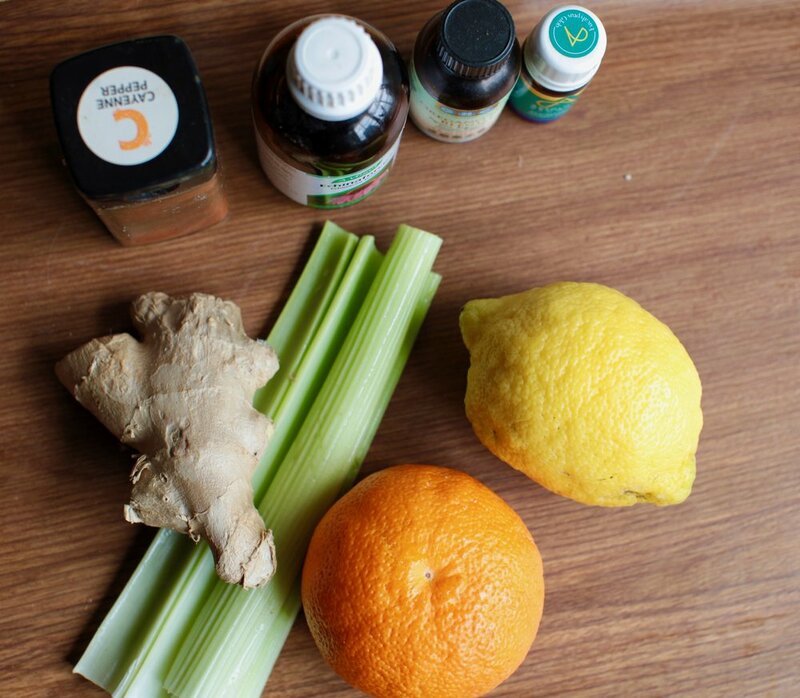 Turn on your Juicer and juice your lemon, orange, ginger and celery into the jug. 3. Add the oregano and eucalyptus oils, echinacea and cayenne pepper to your freshly juiced ingredients and stir well. 4. Serve into shot glasses and sprinkle with a small amount of cayenne pepper.